We are so excited to introduce a new regular We Are Chester feature, Cartoon Chester. Our very own artist and illustrator Dai Owen, who has also documented the Chester Mystery Plays through his art, will be putting pen to paper to produce some cartoons inspired by our city. 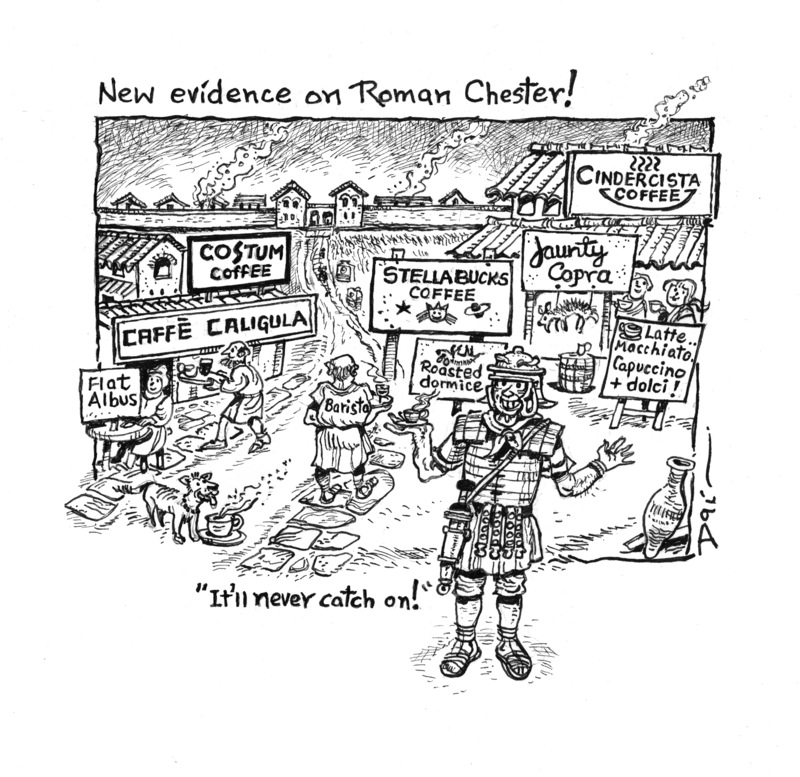 In this first cartoon of the series – Coffee Bar Chester – Dai has been ‘Roman’ the city looking for inspiration – and has found it in the form of a wry take on our array of enticing coffee emporiums. He’s been having fun devising some Roman-inspired alternative names. We hope that you enjoy this as much as we have. Coffee with roasted dormouse anyone?! More of Dai Owen’s work can be found on our site and on his website www.dai-owen.co.uk/ and the Directory of Illustration website.